Means of modeling different organic objects and low poly rough 3D-models, provides a broad set of tools that allow users to create sculptures, adding topology (automatically or manually) to create UV-maps (automatically or manually), interactive surface texture, model, render static scenes and a circular animation model. 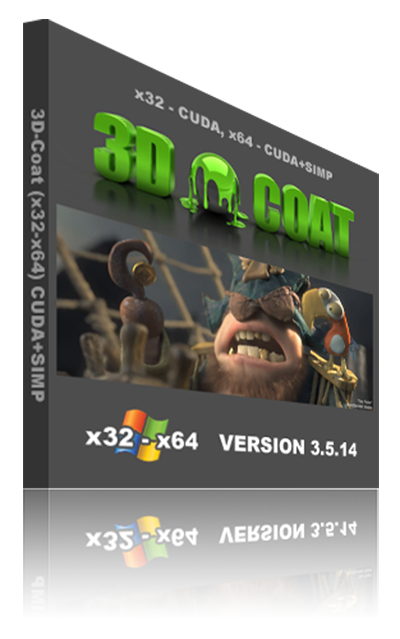 The program can also be used as a medium for modifying the imported 3D-models obtained by using commercial software. Imported models can be converted into a voxel sculpture - to further refine and add new parts, and for them it is possible to create UV-scanning, mapping, displacement map, maps, highlights and diffuse color map. After all changes have been completed, with a special connection, they can be transferred to the original software stored scans, textures and complete information about the object changed.